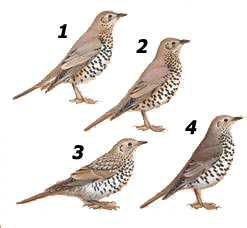 Species : Turdus viscivorus (Linnaeus.1758): Drain thrush – Mistle thrush – Zorzal charlo – Tordela. 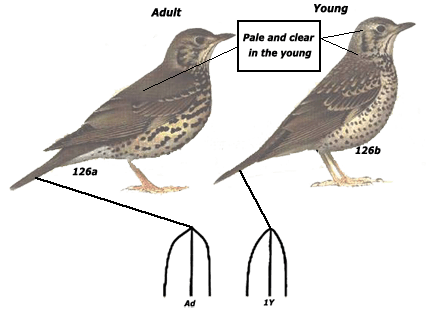 Passer of greater size (20 to 30%) than that of the song thrush (Turdus philomelos) but paler than the latter (on the left: thrush drains, right thrush musician). 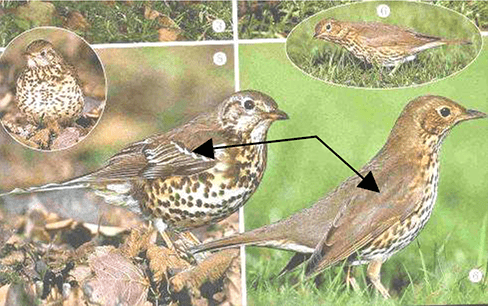 The outer edges of the tail feathers (rectrices) and the ends of the covers are white in the darter thrush and brown in the song thrush. The darter thrush is the largest species of huntable Turdidae and probably the most suspicious because moving in small family groups well structured (watchers perched at the top of the trees while the rest of the group is feeding). This behavior is similar to that of the Field Thrush and the Purple Thrush that move in larger and less organized groups. Its average length is 23 cm and its wingspan varies from 33 to 36 cm. The legs are yellowish and the spots bigger than the thrush musician. The tail is longer in proportion to the body than in other thrushes. Both sexes are similar. Males weigh on average 110 g (96-134) and females weigh 120 g (106-140). There are three races: Tvviscivorus; Tvdeichleri ​​and Tvbonapartei. The voice : the usual cry is that of a dry rattle (trrrré) emitted often in flight (alarm). It also emits a teuc teuc fast. The song in the spring is very pure and resembles that of the blackbird (Turdus merula), less melodious and less varied. The species is common throughout the range but rarer in the eastern parts of Russia, the Balkans and Germany. Its area has expanded since the 19th century both in Britain, as in the Netherlands or Austria. 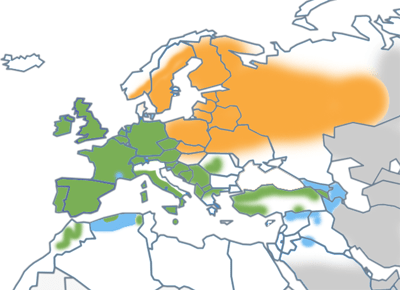 Geographical distribution of “subspecies or breeds” : the type race ( Tvviscivorus ) is present from Great Britain to southeastern Sweden and Norway, Finland, western Russia, Spain, Portugal, Apennines in Sicily, further east in Turkey, particularly to the west and south, Greece, northern Iraq and northwestern Iran. The Tvdeichleri breed is present in northern Morocco in the Atlas Mountains, partly in northern Algeria, north-west Tunisia, Corsica and Sardinia. The third Tvbonapartei breed is present in Siberia, south-west of Lake Baikal, in the east to Afghanistan, Pakistan and the Himalayas where it can nest between 1800 and 3900 m, it is present in Nepal, south of Kazakhstan, south of Turkmenistan and especially north of Iran. The breeding habitat of the darter thrush is not exclusively forest but prefers clearings, open wood edge areas and large hedgerows. It colonizes city parks. To the south and east of its range, it lives in medium-high mountains in stands of conifers, junipers, or mixed forests. It sometimes uses the highlands without trees with meadows. In North Africa it lives above 600 m altitude and occasionally up to 1700 m. In the Mediterranean zone it is rather on the hills and medium mountains than on the plain but here too it avoids too dense forest massifs. Finally, it should be noted that today it avoids the extreme Mediterranean coastal fringe. In winter, it preferentially uses meadows bordered by large hedges and open spaces of medium altitude. The darter thrush feeds on a wide variety of invertebrates and wild fruits including mistletoe. It is also called the “mistletoe thrush” (viscivorus = mistletoe eater) which it ensures in part the dissemination. Contrary to the song thrush, we never observed a thrush drains using a stone (anvil) to break snail shells. Among the consumed invertebrates we can mention the main orders of insects: Orthoptera (crickets, grasshoppers); adults and larvae of Lepidoptera (Butterflies, ..); adults and larvae of Hymenoptera (Ants); spiders ; gastropods (snails, slugs, ..) and earthworms. The vegetable food consists of berries but also juniper seeds, mistletoe, holly, mountain ash, brambles, vines etc. In proportion, the analysis of 52 stomachs in England showed the presence of 55% of invertebrates and 45 % of plants. In nesting young, the diet consists exclusively of invertebrates brought by the parents: larvae of Diptera; larvae of Coleoptera; earthworms; slugs and larvae of Lepidoptera. The start of breeding is earlier in England and starts in late February, in northern Africa it begins in late March but in late April in Finland. In France, a follow-up carried out during 20 years made it possible to locate the egg laying of the first egg between March 20 and April 5 in the center of France. Nests are usually located in tall trees at an average height of 5 to 10 m above the ground. Some ground nesting cases have been observed. The nest is lined with twigs and leaves, has an average outer diameter of 18 cm and internal diameter of 10 cm. The eggs have a variable color (see plate), measure 30 mm x 22 mm on average and weigh 7 to 8 g.
The most frequent laying is 4 eggs (61 to 62% depending on the studies). Thrush drains frequently produce two broods and occasionally three in a breeding season. The incubation lasts 12 to 15 days, ensured by the female and occasionally by the male. The young are fed at nest by both parents. It is common for the male to continue feeding the young while the female incubates a second egg. The young remain two weeks in the nest and become independent 2 weeks after fledging. Reproductive success varies from year to year and according to environmental constraints.On a sample of 435 nests followed in England, 40% produced a young fledged. 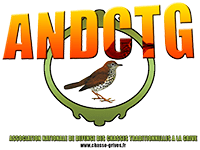 In France, out of 328 nests with chicks banded, a production of 3.4 young per successful brood was observed. Breeding ended thrushes live in small family groups. A recent European synthesis (2004) places the number of breeding pairs between 3 and 7.4 million, which represents an increase in knowledge by 60 to 80% more than the 1994 synthesis of the same organism. From now on 41 countries are concerned and Europe represents more than 50% of its breeding area. Stable from 1970 to 1990 and from 1990 to 2000 with an increase in Germany and a stability in Russia, the darter thrush is classified “secure” in Europe. Its state of conservation is considered favorable. The top 5 countries with the largest breeding pairs are: Russia (1 to 3 million); Spain (0.33 to 0.79 million); Germany (0.3 to 0.55 million); the United Kingdom (0.23 million) and France (0.1 to 0.5 million). 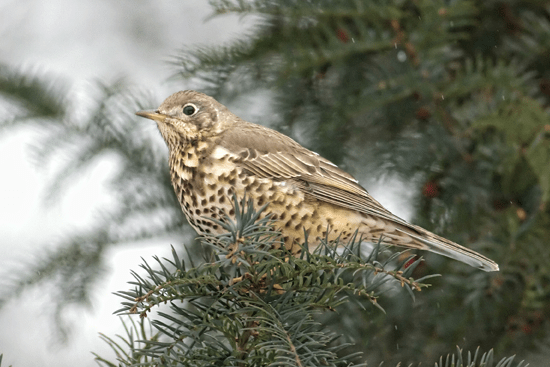 Italy hosts between 0.05 and 0.1 million pairs and one can wonder why the protected status of the thrush drains in this country when the conservation status of the species is excellent. Of the 41 countries that provided information in 2004 on the status of the species (above), 30 countries (73%) consider the numbers as stable or increasing, 6 are decreasing and 5 are unstable. by effects of concentration of numbers in winter on favorable areas both from the point of view of food and climate. 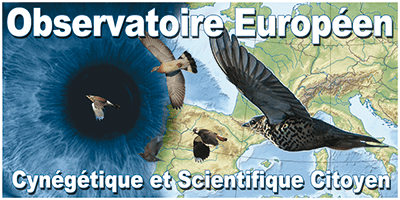 In France, the two breeding bird monitoring networks (ONCFS / FNC and STOC / MNHN) agree to show an increase in breeding numbers from 2001 to 2003 and stability thereafter. Average spring densities at some Allier sites in France and regularly monitored by adapted methods vary from 0.3 to 1.4 pairs per 10 ha. The annual adult mortality is 48% and that of young people, the flight to their first year, is 68%. The age of the oldest known ringed bird is 11 years and 4 months. On average we can consider the northern and eastern populations as migratory and those further south and west as sedentary or with low dispersal. Thus the deichleri ​​race is rather sedentary (North Africa, Corsica, Sardinia). Birds from Scandinavia and Central Europe winter from Belgium to northern Spain, including southern and western France. In contrast to other species of Turdidae (purple thrush and field thrush), long trips could not be related to harsh winters. British birds are rather sedentary with movements of a few tens of kilometers. During the autumn migration (September-October) the birds born in Great Britain move to the south-west of France. The more southerly encounters of banded birds in Finland and Sweden tend to show a southeastern axis of migration. The eastern Bonapartei “race” living in the Himalayas travels in winter to more southerly latitudes in eastern Russia, Kazakhstan and Tadzhikistan. The darter thrush is known to roam the day as the thrush litorne. Out of more than 10,000 hours recorded in the Mediterranean arc by the IMPCF no dagger thrush was recorded at night. Weekly and ten-day standardized diurnal counts carried out for more than 10 years on the French Mediterranean arc (IMPCF / FDC) show that the wintering of the thrush drains is less fluctuating from one year to the next (variations below one 2) that of the purple thrush or the Italian thrush (factor of 1 to 10 depending on the year for these two species). The first passages of thrush drains take place in the first dekad of October in the south of France. Postnuptial migration begins earlier in the North (Italy – Lombardy: end of September) and continues until November (Iberian Peninsula, North Africa). The return migration begins in February north of the wintering area, in late February in the Mediterranean and in March for wintering birds in North Africa. The successive “peaks” of return migration take place in March and last until April, as shown by standardized counting in the south of France. These results are consistent with the dates of arrival at nesting sites in March (Central Europe) at the end of May (Scandinavian countries) along a latitudinal gradient. The darter thrush is the least hunted thrush despite a tradition of hunting Turdidae in the Mediterranean countries (Cyprus, Spain, France, Greece, Malta, Portugal). In these countries hunting has been practiced since antiquity according to traditional methods, with or without calling, but also with the rifle, in front of oneself or at a fixed post. In the south-east of France (5 departments) the capture of this species by glue is authorized by way of derogation from Directive 79/409 (Article 9). 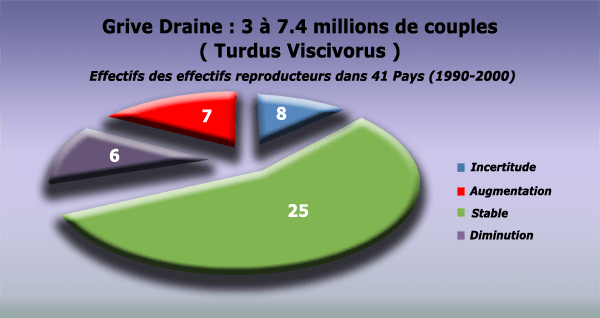 It is ranked last (1.9%) in descending order according to the% of the Turdid hunting table in two departments (Var and Vaucluse) for the 2000s. 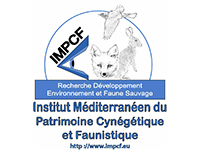 In February 2007 the Council of State retained the scientific results of the IMPCF and the 16 Federations of Hunters members (all those of the Mediterranean arc except that of Gard). Thus by a judgment on the merits, the High Court has authorized hunting Turdidae (blackbird and thrush) until February 20 in 17 southern departments while the hunting of these species elsewhere in France closed on February 10. For this, the IMPCF has demonstrated that the return migration to the Mediterranean area begins during the third dekad of February, results validated by the National Observatory for Wildlife and its Habitats (ONFSH.2005). This difference with the rest of France is due to the more northerly origin of populations coming to overwinter or crossing the Mediterranean region in autumn and winter and therefore later joining their northern breeding areas in early spring. These results are confirmed by the staggering of arrival dates at the nesting sites along a latitudinal gradient. As for other huntable Turdidae, the establishment of a sampling book (CPU-FNC or collection by each Federation as is done in the Hautes Alpes and the Alpes Maritimes in the PACA Region) or an annual monitoring by survey as established in Italy and Greece, would allow annual monitoring. National surveys in France were conducted every ten years on average, which precluded any comparison for a group of migratory species whose level of migration and wintering is largely dependent on annual weather conditions, including for this species, which remains the less reactive hungry Turdidae in severe winters. The future of this species is also based mainly on maintaining the quality of its habitats, both breeding and wintering. The diversity of landscapes, offering alternating open areas (meadows, heathland, cultivated areas) and creeks, groves and large hedgerows with large trees is essential for its maintenance. Shrubs and berry trees are an important part of trophic requirements, as are the associated invertebrate fauna. On the one hand, we can only encourage the rebuilding of hedgerows for wildlife according to new ecological principles (volumes, strata, plant species adapted to the climate and producing berries and see the IMPCF synthesis document produced in 1995). thanks to funding from the Languedoc Roussillon Regional Council: Faune Flore Paysages program). On the other hand, the development and financial encouragement (Region-State-Europe) of environmentally friendly agricultural methods are also essential for the maintenance of a variety of invertebrate fauna for which the species feeds. Lastly, the maintenance of varied mosaic landscapes as part of the projects and actions for the protection of “ordinary” biodiversity can only be favorable for the thrush in the future.